On my design wall today is the November UFO. 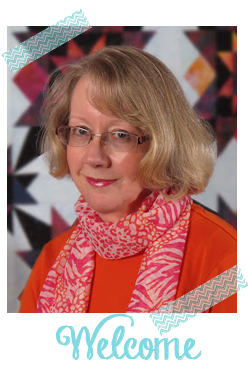 It's from Brenda Henning's "Strip Therapy 7" and is called "Full Moon." 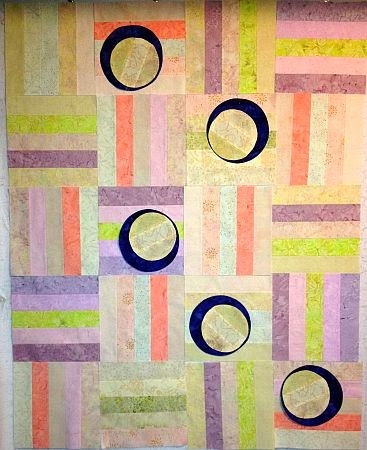 The pattern has a "moon" on every square, but I think it looks better with just a few, scattered across the quilt top. The pattern also calls for a border, but again, I think it looks better sans border. What do you think? 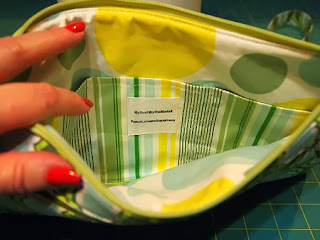 I did finish a project this weekend, but can't show you the whole thing because it's a pattern test for Sara of Sew Sweetness. 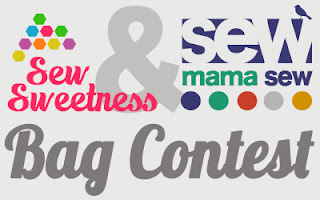 Sara is hosting a Bag Contest along with Sew Mama Sew. 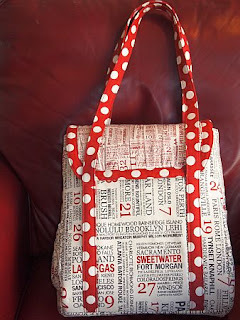 If you've made a bag using one of Sara's patterns, go here for the details. Go here for more pics of my bag. No photos on Facebook yet by My Little Sailor, ashore in the Philippines for Operation Damayan. But my candle is still lit, and your thoughts and prayers are appreciated. Good call on just the few moons, and I like it sans border. This is such an unusual and aethetically pleasing design! Love the colors you've chosen! I like the random moons too! Perhaps your LS is just too darn tired and a tad pre-occupied! 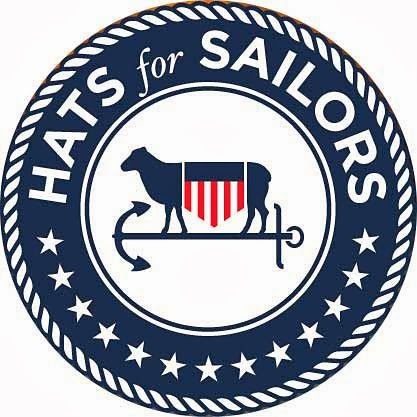 I thought of your little sailor the other day when our news bulletins said the US navy was on its way to help. I'll keep him in my prayers. I agree on scattering fewer "moons"; I can go either way on borders. I guess it depends on the color of border. Maybe a 2-sided border on R and bottom for the moons to "fall" into? Your quilt looks great. I love how creative minds work and agree that scattered moons look good. I think the dark colour of the moons would make a great binding, no boarders. Hope your sailor contacts you soon.